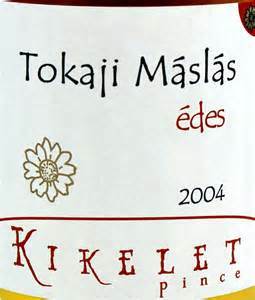 Kikelet – A vineyard name with no ‘funny’ Hungarian letters! I’ve been to a couple of interesting tastings this week or so. 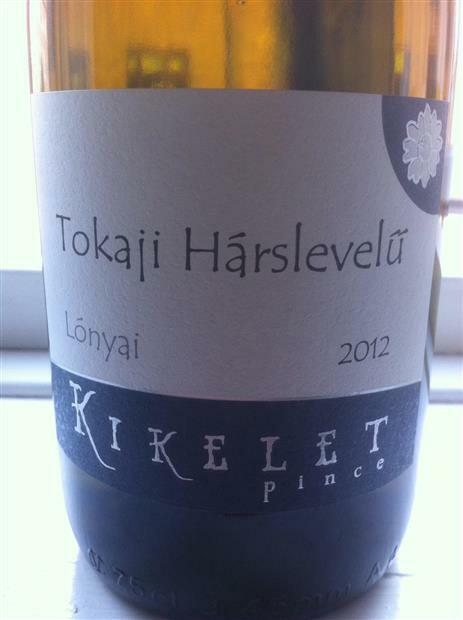 The first of which was a flight of wines from the Tokaj Kikelet pince run by Stéphanie and Zsolt Berecz in Tarcal since 2002. The winemaker, Stéphanie, a graduate from Bordeaux University, came to work in Tokaj for three months in 1994, met her husband Zsolt and stayed put. They later bought a vineyard in Tarcal and tried to come up with a suitable name. Stéphanie explained that she had wanted to choose a word that contained none of those ‘weird’ Hungarian letters like gy, ny, ly, ű, ü, ö, ő, so that non-Hungarian speakers might actually have a clue about how to pronounce it. They settled on Kikelet, which has only ‘normal’ letters in it. Stéphanie gave us a lot of interesting background about the vineyard, the soils and the vintages. We tasted Furmints and Hárslevelűs from a couple of ‘dülő’s (individual vineyards and containing some of those lovely Hungarian letters) – Váti, Lónyai, the estate (birtok) and various vintages. As much of the soil around Tarcal is a variety of volcanic soils, all of the wines displayed a high degree of minerality. Lónyai Hárslevelű 2012 – A premium wine, so entitled to be bottled in the new style Tokaj bottles (the same shape as the aszú bottles, but 0.75l). Delicious rich mineral/smoky notes with honey, quince and almond. My favourite of the dry wines! Máslás 2004 – Golden honeyed notes, mineral, quince, some botrytis, mandarine and toast. Also displaying some tertiary characteristics. 100g residual sugar. And a final surprise, as Zsolt could not join us due to the harvest, he had sent along a bottle of Törköly pálinka. Yum. Some entertainment, quite inadvertently, was provided by someone who we could only assume was a regular to the wine bar when open for normal business. He kept trying to gain access to the bar, while the owner tried to shoo him away. He finally succeeded in getting through the door and János decided to give him a pint (presumably to try and finally get rid of him). While he was waiting for the pint to be poured, he looked around at us winetasters and settled on me.’You’re swirling that glass like a pro,’ he slurred. The lady next to me pointed out, ‘perhaps she is an expert’. The rather drunk regular was then escorted out with a pint. Within about two minutes, he stumbled back in with an empty glass. Everyone looked at him in estonishment. He got that down him quickly. He was engineering to get another, but János was not having it this time. Out he went. He gained access once more with the promise of some Lécsó for János, so got another pint. János went out with him and he proceeded to demonstrate some large lamp he had brought with him, or so it seemed, switching it on and off as they hovered outside. ‘I’m surprised he can even stand up,’ remarked a fellow taster at one point. Whatever, he certainly provided a little light entertainment during the ‘serious’ business of wine tasting :-).